Welcome to Season 2, Episode 24 of Scary Stories Told in the Dark, starring Otis Jiry. 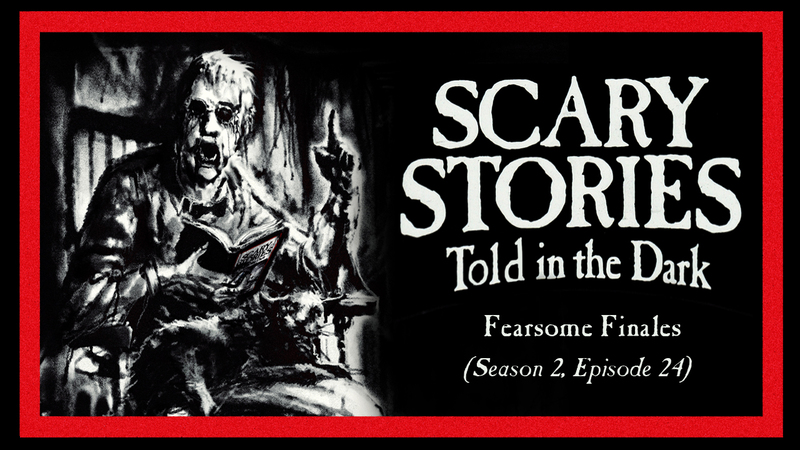 In this episode of Scary Stories Told in the Dark, we bring you four terrifying tales from authors Alice Thompson, Stephen McCool, Lady.Katie512, and Cameron Suey, performed by host and narrator Otis Jiry, about insidious inventions, eerie elders, creepy closets, and predators with a purpose. The version of this podcast which is made freely available here contains the first 2 stories listed. To enjoy the premium, extended version of this episode – as well as our extensive audio archive of other terrifying tales – please sign up for a Patrons accounts today. Audio program © 2018 Chilling Entertainment, LLC – All Rights Reserved. No reproduction or use of this content is permitted without the express written consent of Chilling Entertainment, LLC. The copyrights for each story are held by the respective authors. A NOTE TO LISTENERS: The episode available here is ad-supported. To access this and other episodes of this program ad-free, sign up to become a Patron today at Chilling Tales for Dark Nights. In our Patrons-only members area, you’ll get access to HQ MP3 copies of all of our podcast episodes – totally free of advertisements – plus access to hundreds of stand-alone audio horror productions dating back to 2012. You’ll also be helping to support this program and the team that bring it to you every week. Thank you for your support!